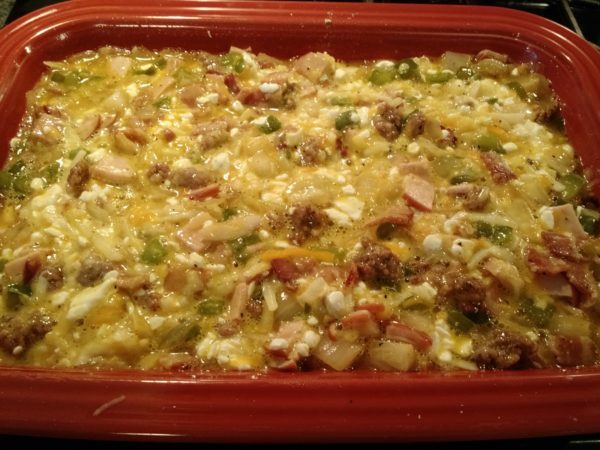 This breakfast casserole uses meat, onions, peppers, potatoes and eggs, along with a generous amount of cheese. 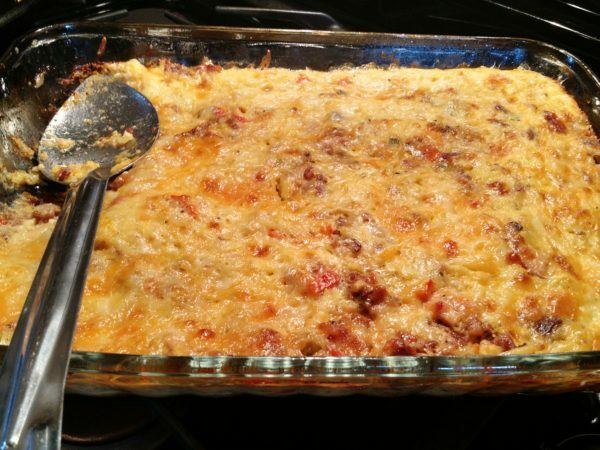 We made a double batch of this for a family vacation and combined sausage, bacon and Canadian bacon for the meats, and used a variety of cheeses, including Swiss, Italian, sharp cheddar, Mexican blend, and more. It was a huge hit! Saute the bacon in a large skillet. 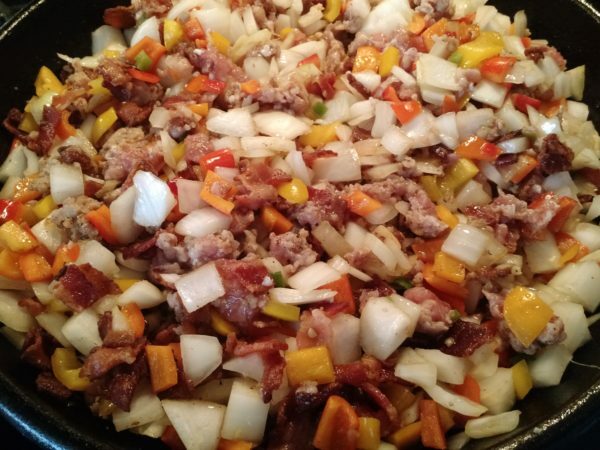 When it starts to brown, add sausage, onions, sweet pepper, garlic and jalapenos (if you are using them). Saute until the sausage is fully cooked. Season with salt, pepper and garlic powder as it is cooking. Drain fat. Preheat oven to 350 degrees if baking now. In a large bowl, combine potatoes, hot sauce (opt. ), meat and veggies. Stir in cottage cheese and all but 1/2 cup of cheddar and 1/2 cup of Swiss cheeses. Add beaten eggs. 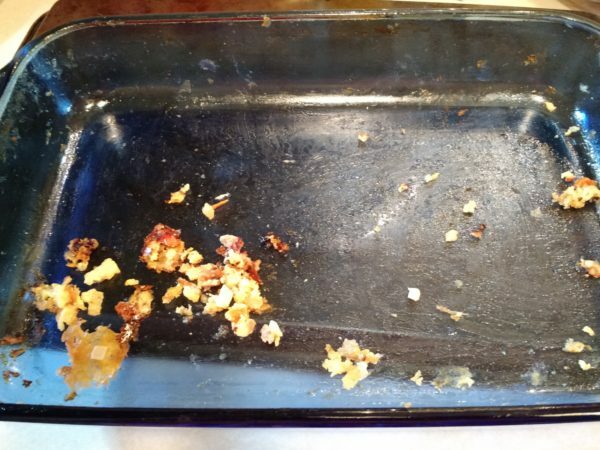 Grease a 9x13" pan. Spread the mixture into the pan. Top with reserved cheese. At this point, if you are making this ahead, cover the casserole with foil or plastic wrap and place in the refrigerator. About 30 minutes before you will bake it, remove it from the fridge so that it can start to come to room temp. Preheat the oven to 350 degrees. 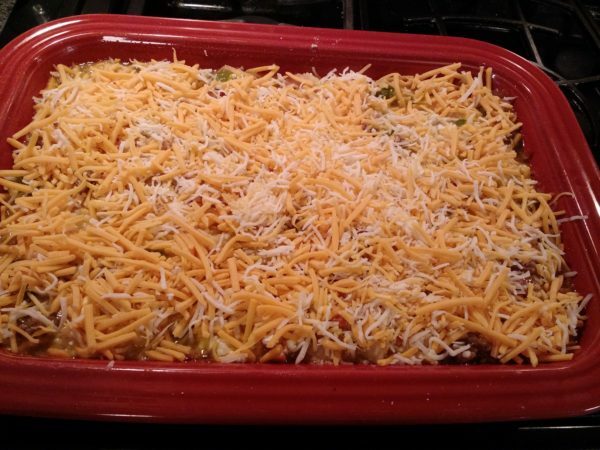 Bake for 40-45 minutes, or until all the cheese is melted and bubbling, and the casserole has set up in the middle. Allow the casserole to cool for a few minutes, then cut into pieces and serve.